For today’s deals roundup, we have found deals on a wide range of headphones at Amazon. The products we’ve listed down below are in-ear and on-ear headphones from brands like boAt, JBL, Sennheiser and more. If you are not satisfied with the output of your old pair of headphones then you’ve come to the right place. We have handpicked some of the best wireless/wired headphones deals that are currently going on Amazon. The products we’ve listed down below are from brands like JBL, boAt, and more. The boAt Rockerz 400 is a wireless headphone, which comes with a passive noise cancellation that reduces the outside noise for a better listening experience. As per the company, the headphones can provide up to eight hours of audio playback on a single charge. Click here to buy. The Sennheiser CX 180 is a wired in-the-ear headphone, which is compatible with multiple devices such as a smartphone, iPod, laptop and more. One should keep in mind that these headphones do not feature an in-line remote or a microphone. Click here to buy. 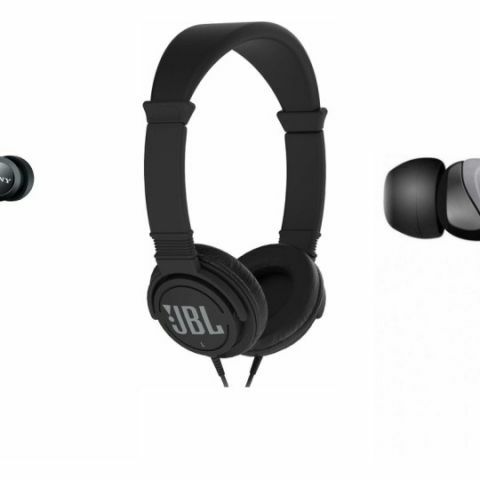 The JBL C300SI is a wired on-the-ear headphone, which comes with self-adjusting ear-cups. The headphone features 40mm drivers and has an impedance of 16 ohms. Click here to buy. The boAt Nirvana UNO In-Ear Headphone features an in-line HD microphone and three-button remote to manage audio tracks and calls. The device sports 7mm dynamic drivers and has an impedance of 16 ohms. Click here to buy. The Sony MDR-EX150AP In-Ear Headphones features an inline microphone and remote to change tracks and pick up calls. The device also comes with a wire manager that doesn’t let your earphone wire tangle up in knots. The earphone is available in seven colors such as pink, red, black, blue, white and more. Click here to buy.